The Alan May party from Prince George B.C. caught and released a 130 LB. STRIPED Marlin. It was caught on a Black Bart Lure ( Blue / Pink ). The fighting time was 25 minutes. They also caught eight Yellowfin Tuna. 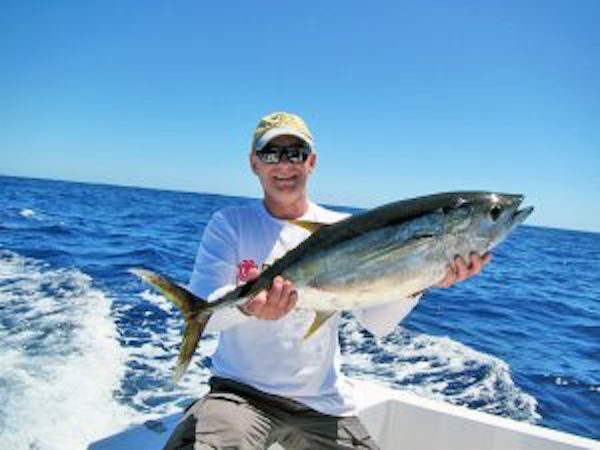 The fish were caught 16 miles from Cabo. The water temp. was 69-71 degrees.